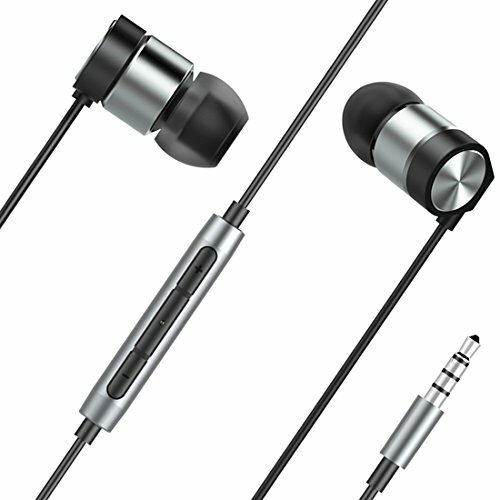 6.Volume Control: "+" OR "-"
WHY THE BOTUO X8 IS THE BETTER CHOICE IN EARPHONES? - 4D STEREO SURROUND SOUND: Great sound quality with deep bass,advanced technology provides total immersion in your audio. - MULTI-FUNCTION CONTROL - Allowing you to conveniently control volume, select songs, and take calls. 1. STEREO SOUND QUALITY WITH DEEP BASS - Earbuds deliver an extremely accurate listening experience with unsurpassed dynamic power and clarity from deep bass to sizzling highs. 2. COMFORTABLE ERGONOMIC DESIGN - The ear fittings naturally match your ear canals. 3 sets of included ear tip sizes ensure a proper fit for all. They re more comfortable and freeing you to enjoy your music. 3. INTELLIGENT CONTROL TECHNOLOGY - Earbuds with microphone and volume control - Accessible 3-button remote allows you to conveniently control volume, select songs, and take calls on the go. 4. EARPHONES FOR All SMARTPHONES AND PHONES WITH 3.5MM JACK - In-line remote control is compatible with iphone,iPad,android smartphones,tablets,mp3/mp4 player and other popular electronics. 5. WHAT YOU GET - BOTUO wired in ear headphones,S/M/L earbuds replacement tips,earphones travel pouch,our worry-free 12-month warranty and friendly customer service. If you have any questions about this product by BOTUO, contact us by completing and submitting the form below. If you are looking for a specif part number, please include it with your message.